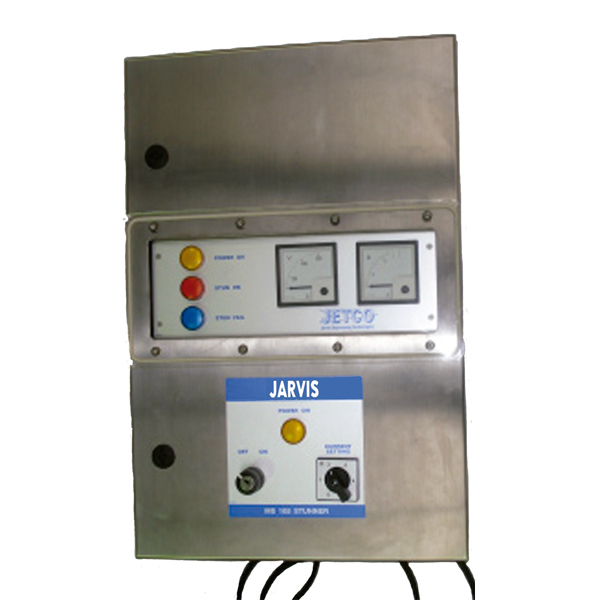 The Jarvis Model MS105 – electrically controled cabinet for stunning of sheep, bobby calves, deer, pigs and poultry. • The Jarvis Model MS105 Stunning Control Cabinet, manufactured by our JETCO subsidiary, for both halal and full kill stunning. • Adjustable output current and stun times – six settings: 0.7 – 2.0 amps. • Auto stun check – current limiting choke ensures output probes are checking for any short circuiting. • Humane stunning- Current sensing electronics check each stun. Warning light shows stun failure.